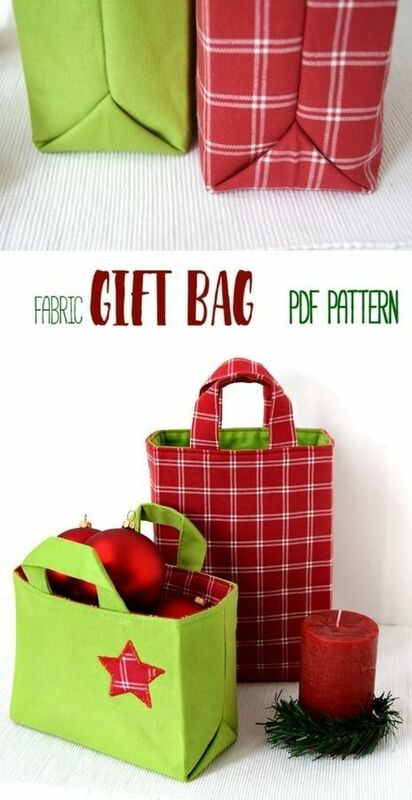 This convenient fabric gift bag comes in 6 sizes and different dimensions. It's perfect to hold all your Christmas gifts. The PDF pattern comes with detailed step-by-step instructions with lots of photos, tips and a Sew-to-Sell license. Check it out! This PDF file includes a full-size printable sewing pattern (6 variations) with detailed, beginner-friendly instructions with lots of clear step-by-step photos, diagrams and tips to help you along the way and make your project easy and fun.